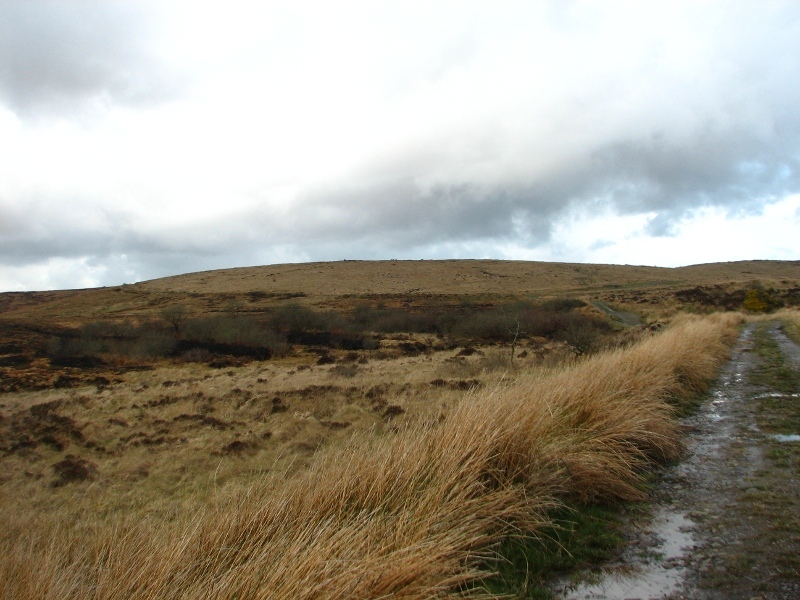 Slieve Beagh – or its South East Top to be precise – is the highest point in Co. Monaghan, standing at 373 meters. 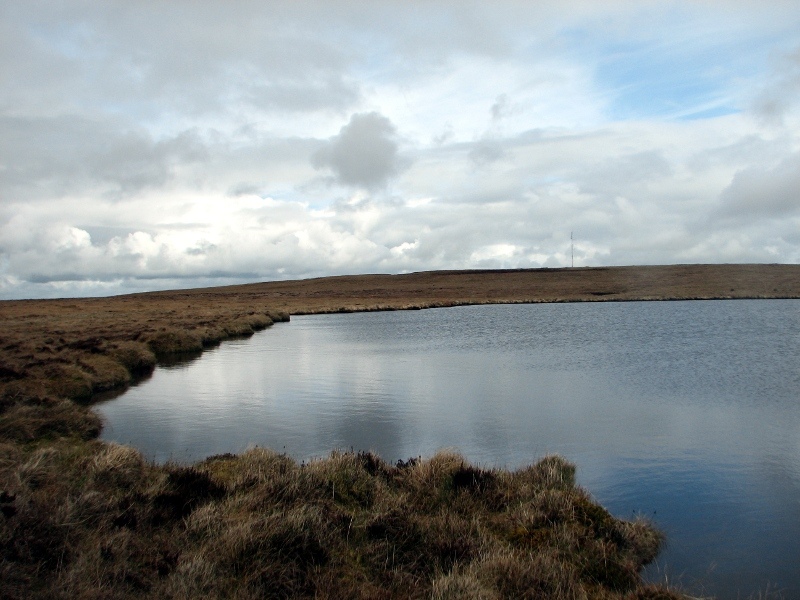 This easy-to-miss high point is reached following a sodden drag through an expanse of raised bog. My walk of about 9 kilometers took 3 hours, including half an hour or so to sup coffee by the lake and take some photos. 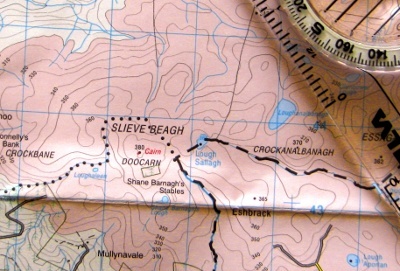 Slieve Beagh – which I now know is pronounced Slieve Bay – was visited by RTE1’s John Murray Show recently. You can now listen to an interesting download with lots of background information on the Knockatallon area. I fancy that perhaps while County Monaghan’s most famous Son, poet Patrick Kavanagh, was deliberating in the late 1930’s on whether or not to depart his rural life for London and Dublin, it may have been a rainy hike to the understated summit of Slieve Beagh that finally pushed him towards upping sticks for the big smoke. These were the thoughts going through my head during the slog towards Monaghan’s boggiest most desolate highest point on a showery late April day. The track towards Slieve Beagh as you pass Lough Antraicer.The path forks off to the left after 12 minutes or so. I’ll include map references in my description of the route as you may end up spending several days in the area if you go up there without sheet 18 or 28A, a compass, and the ability to use both! I parked my car at an electric gate [H553416] up a small road outside Knockatallan. This point is reached by taking a turn at a sign for the Three County Hollow. After 5 more minutes or so the track peters out [H541425] and it’s time to head up across the hill on a bearing of 342 degrees towards the 365 spot height on Eshbrack. 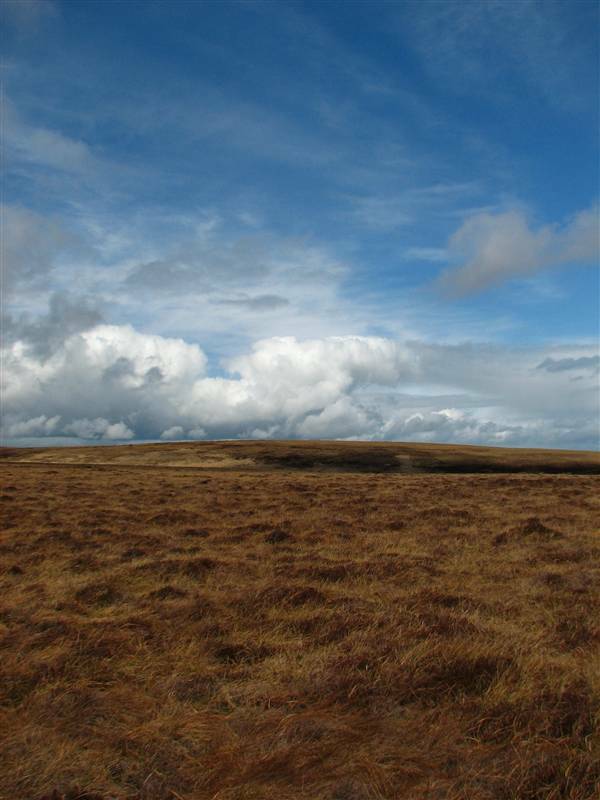 You’ll be wading and high-stepping through lumpy sodden grass until reaching more level ground. Once there nearly all signs of man’s activity will vanish from view. During the walk across to this point you cross an area where you are largely surrounded by a grassy plain on all sides with a rise towards Crockanalbanagh and Essagalvane to your right. A feeling of complete isolation can easily take hold here, though I could hear the song of countless ground nesting birds around me, while seeing none of the birds. About 20 minutes from the tree on a bearing of 316 will see you at the slight hillock that marks the South East Top of Slieve Beagh, and the highest point of Monaghan. Just moments before reaching this point the surprising vision of Lough Sallagh will have revealed itself. On my walk I was starting to doubt it would materialise at all, so I was relieved to have absolute confirmation that I was where I thought I was. I celebrated my 12th County Top with a coffee on the banks. From here, a further 15 minutes of walking – passing by the Three County Hollow where counties Monaghan, Fermanagh and Tyrone meet – will see you at Doocarn, the summit cairn of Slieve Beagh. [H524436] The extra effort will offer you views towards the Sperrins to the North and Cuilcagh in Cavan to the South West among other points of interest. On my visit, and in the grand tradition of the views I have enjoyed during my quest, the summit offered me limited visibility and news of an incoming rain shower that didn’t encourage me to hang around for too long. Returning along the same path you’ll see Shane Barnagh’s Lough down the slope to your right. Mr Barnagh was a Robin Hood style highwayman who liked to rob folks on the road between Dublin and Derry. After being caught and killed his body is reputed to have been thrown in the lough bearing his name. Some might say that his highway robbing duties were taken up with gusto centuries later by the operators of Dublin’s M50 toll bridge. I couldn’t possibly comment on the matter. Finally, I’ve tracked down some of Patrick Kavanagh’s thoughts on the hills in his native county, in the poem Monaghan Hills. So, maybe Patrick was up on Slieve Beagh after all, fighting the physical and mental constraints of his home county. If you ask me I’d say that while It may not be Everestic, Slieve Beagh is beautiful for its wildness, and is a prime example of how tackling the highest points in Ireland’s counties will take you off the path most followed….and that makes all the difference. If you would like to walk around Slieve Beagh rather than up it, then the ever wonderful WalkNI have just the route for you. If, like me, you studied Patrick Kavanagh’s poems during school and would like to revisit some of his work, you can find a selection of his pieces online. For more on the flora of the area, hit this wikipedia link. Do you think you might talk a walk up Slieve Beagh? Is there any information you’d like to see in this post? Please let me know. Great site. In the process of doing the county tops myself for some articles I am running on http://www.walkingandhikingireland.com. Looking forward to keeping track of your progress.. Thanks Paul, I’ve been keeping an eye on Walking&Hiking. Great site. Perhaps we’ll cross paths on the hills sometime. Great site & useful postings also on mountainviews. Well done so far. Thanks, see you on the hills! Just discovered your site today- great stuff and well done… oh and aye, drinking pints of milk with your dinner must be a Monaghan thing; only realising now not everyone does it! I’ll raise a glass – of milk – to you! Glad to hear my info is coming in handy. Slieve Beagh is a lovely, if understated place. Mweelrea is a cracker, although I’d love to tackle the more adventurous route via ‘The Ramp’ next time I’m down that way. Slieve Beagh is a lovely spot and the nicest people were encountered in Monaghan. Thaks for the post. A very lovely and unspoiled spot. I am glad not too many people know about Slieve Beagh. And I agree wholeheartedly, Monaghan people are the nicest and cannot do enought for you. I love walking in this area, i live quite close to it. 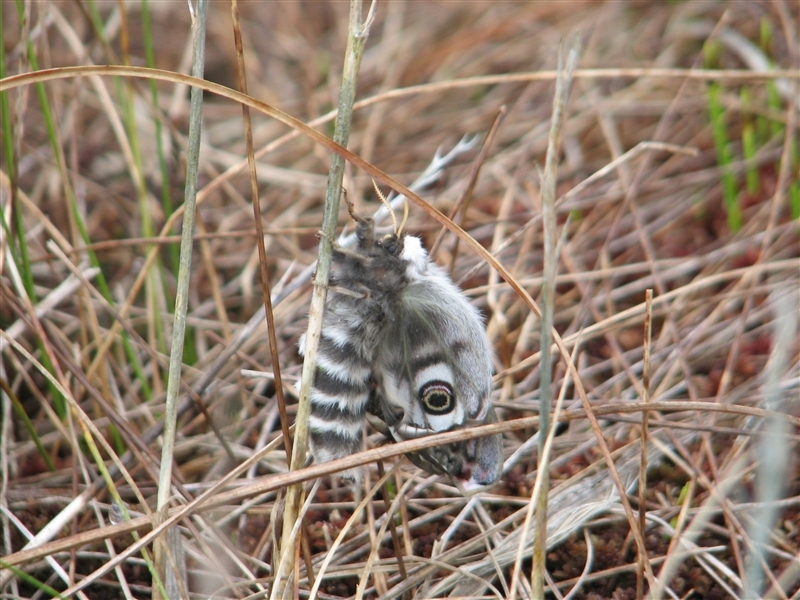 It is superb for birdlife and wildlife. But very remote and lonesome!